Aaron and I stood at the corner of W 12th and Hemlock and rubbed our hands together quickly, trying to stay warm as we waited for the light to change. We were expecting the first big snowstorm of the winter on the weekend and we could feel it riding in on the breeze. My Braxton Hicks had started to come in stronger and more regular the night before, but they disappeared shortly before I went to bed and hadn’t yet returned. 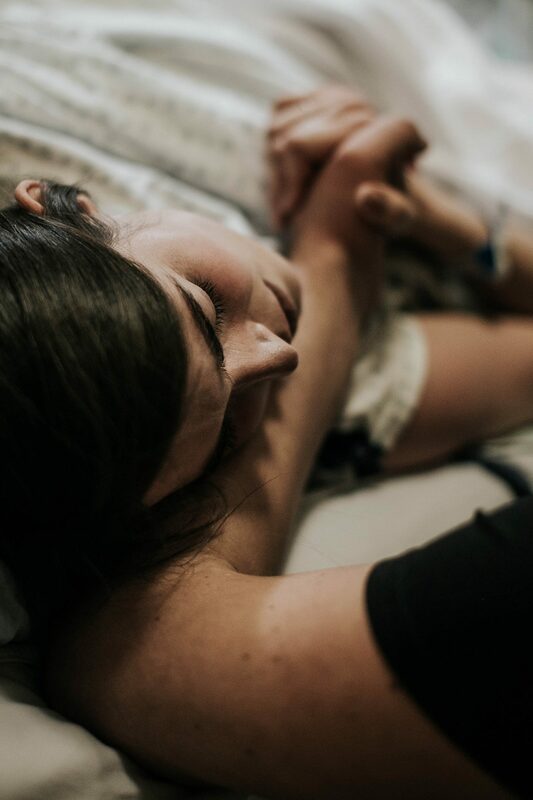 The light had just changed when I suddenly felt the slow and steady build of a contraction, but instead of tapering off it sent an ache through my entire body. I reached one hand up to Aaron’s shoulder and the other to my belly and shifted from one foot to the next as I took a few deep breaths. By the time the lights changed again it was over, and I looked up to Aaron with a wide grin on my face. Could this really be happening? I tried not to get my hopes up. 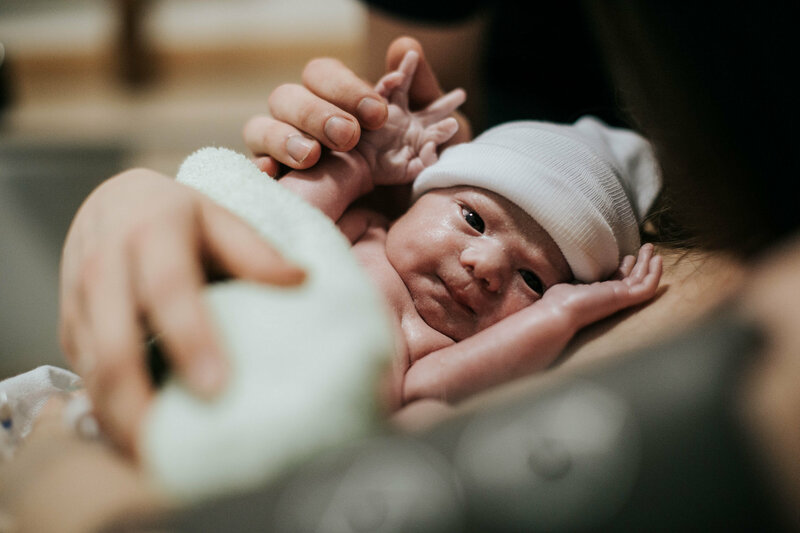 Throughout the whole pregnancy I had a recurring dream where this baby decided to come on his own, but I never paid much attention to it because I knew the chances of going into labour before our 38 week induction were slim. We got back to our apartment after our walk and I’d just settled down on the couch for a nap when I noticed that baby’s movements were different. My mom was over at our place helping with a few last minute preparations and when I casually mentioned this to her, trying (unsuccessfully) to mask my concern, she told me that I should just listen to my instincts and go get checked. 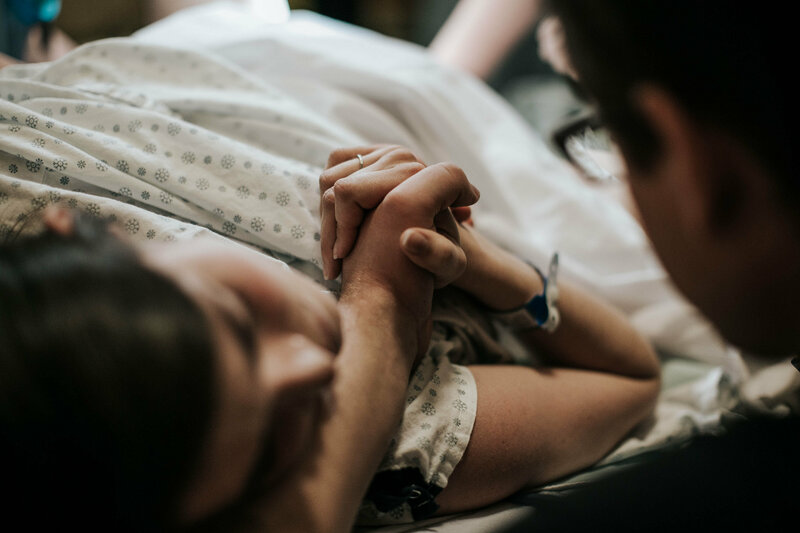 I contacted my OB and she agreed: we should go to the hospital. In the car ride on our way over, at 4:20 p.m., I had my first strong contraction. When we got to the parking lot of BC Women’s 5 minutes later, I had another. During the walk from the car to admitting 3 minutes later I had a third. Each one was starting to intensify and by the time we were outside admitting at 4:30 p.m. my next contraction required me to stop, double over, and breathe through it. Just before we walked through the swinging half-door that marked the entrance to Labour and Delivery I stopped and looked up at the wall of tiles that held the names of babies whose lives started and ended in that hospital. I found Reid’s tile, studied his perfect little name, and allowed the tears to pool in my eyes before I gently blinked them shut. 20 months earlier we said hello and goodbye to our firstborn son, and I knew that there would be a number of moments to come where I would feel his presence that strongly. I wanted to savour each one. We walked through to admitting and the nurse at the desk asked what brought me in. I had no idea what to tell her. I said that I was concerned about my baby’s movements but also that I thought labour might be starting too. She smiled and asked me how far apart my contractions were. “Well, they really just started on the car ride over. 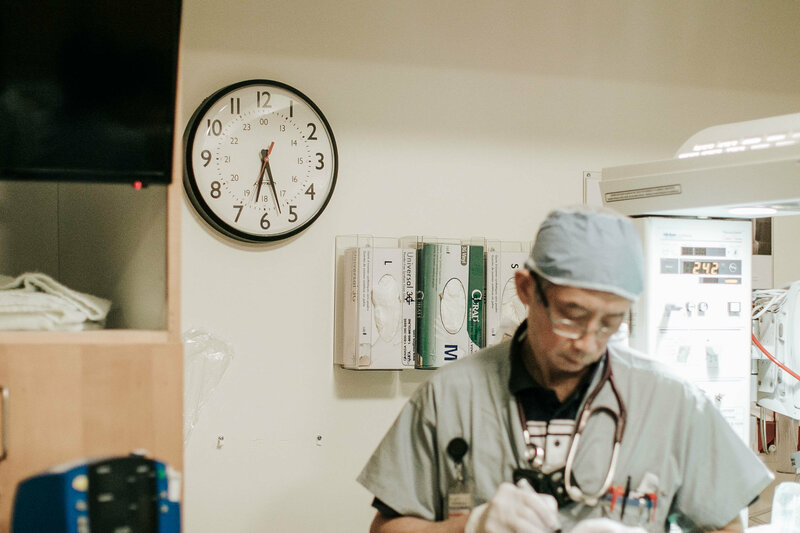 But I’d still like to get our baby checked right away.” Knowing our story, she took us to a curtained-off corner in admitting where I was immediately hooked up to the monitors. Whoosh. Whoosh. Whoosh. Whoosh. The sound of his beating heart brought more relief than I expected – I didn’t realize just how nervous I really was. Baby looked great. It turned out he had moved so his back was on the right side of my belly – a first for him – and that’s why his movements felt different to me. Another thirty minutes of monitoring and we would be clear to go home. But the strip of paper coming out of the monitor confirmed that I was definitely having contractions. It was as if my body waited for that trip to the hospital before it felt like it could safely begin the process of bringing this child earth-side. 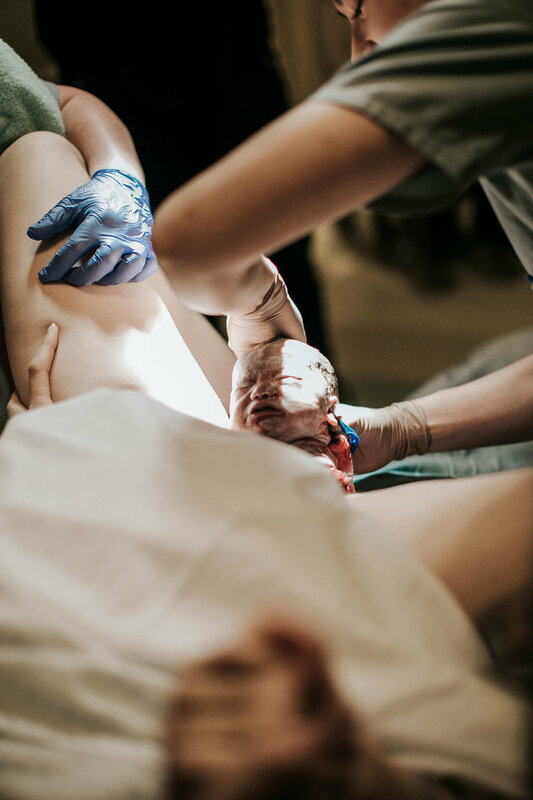 As I lay on the bed and waited for the OB to come in for an assessment I noticed the waves of tightenings were starting to roll in more frequently and with more intensity. By 5:00 p.m. they were 2 minutes apart and strong. 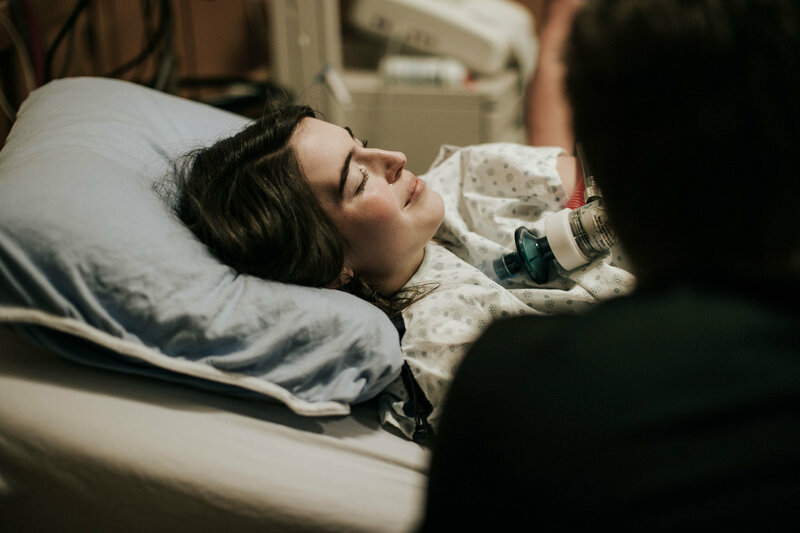 I told Aaron to let our families know that things might be starting to happen, but I was still able to talk and laugh and relax in-between them so the nurses weren’t convinced that they were. Then, when I got up to use the bathroom, I felt a sudden wave of intense pain ripple through me. I hurried back to bed with Aaron’s help but not before another contraction brought out the first groan with its strength. The ones that followed had me breathing so heavily that the nurse came back in and asked if I wanted to try the laughing gas. I had the awareness to recognize that things were happening too quickly for me to handle on my own, so I accepted her offer. I knew that using the gas would invite the trauma I experienced with Reid’s passing and birth to attach itself to the pain I was experiencing then, but I think that on some level I knew that I needed it to. The nurse wheeled in the canister and handed me the mouthpiece. After a quick tutorial, I gripped the ribbed hose and placed my lips around the tube and took a long inhale. I was surprised when I became dizzy, something that hadn’t happened the couple of times I tried it during in labour with Reid. With each tightening I became more aware of how to use the gas and, in a way, everything started to soften. As the contraction built in strength I would breathe through the mouthpiece and feel the effects of the gas grow with it; then when I got to the peak I would take the tube out and ride out the rest with controlled breathing. All the while I pushed as hard as I could against Aaron’s hand. The pain was still very much there, I just felt removed from it somehow. And I found that if I closed my eyes and took a deep, slow inhale and surrendered to the feeling that I was able to manage the pain. Looking through our birth photos I realized that when I rode the wave of a contraction down from the peak I was actually smiling! At 5:20 p.m. my Dad made it to the hospital, the first of our family to arrive. 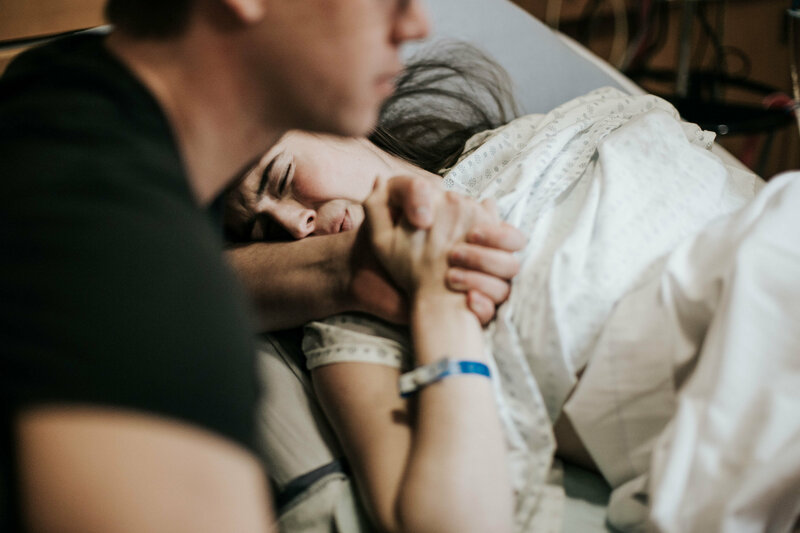 He came into the room and I’m honestly not sure what we talked about – I was so focused on the contractions at that point. This was also the time when Aaron texted our birth photographer, Julie Christine Photography, because she had to come out all the way from Abbotsford (which was an hour away) and just to be safe he thought she should probably start the trip. My Dad was only in the room with us for a short while before the OB on call came in to assess me. She started by asking a few questions, which took forever to get through because I had to stop everything when a new contraction came. But after a few minutes it was time for her to check my dilation. Those checks are so uncomfortable, but I didn’t have time to dwell on that before she laughed and said, “No wonder you are needing the gas. Would you believe me if I told you that you are 9cm? !” I laughed out loud too. I couldn’t believe it! Just minutes earlier Aaron and I were trying to decide how much more time we should buy for our parking, wondering if an hour would be too long. We definitely weren’t going anywhere anytime soon. The OB then mentioned that my waters were bulging and that we needed to get me to a delivery suite as soon as possible. This was it. I forced myself to take a minute to really absorb what I was feeling, knowing that I’d see this child’s face for the first time so soon. Exhilarated, terrified, peaceful, and a little mournful too. I’d spent the better part of the past two and a half years either pregnant or trying to get pregnant – I would miss this season of life, no matter how badly I wanted the one that would follow to come. 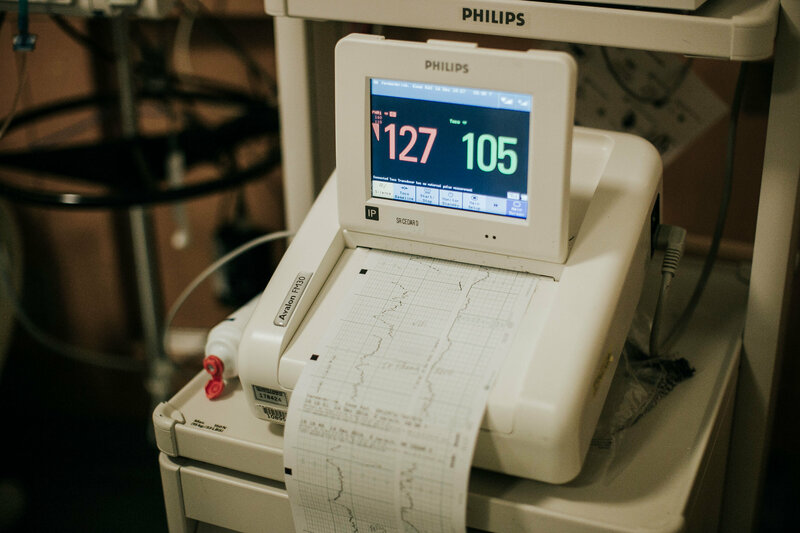 After she left, baby’s heart rate started to decelerate during each contraction, and at one point we lost it completely. A new nurse came in and moved the monitors around to try and pick it back up. This was the first and only time I cried during the whole birth. 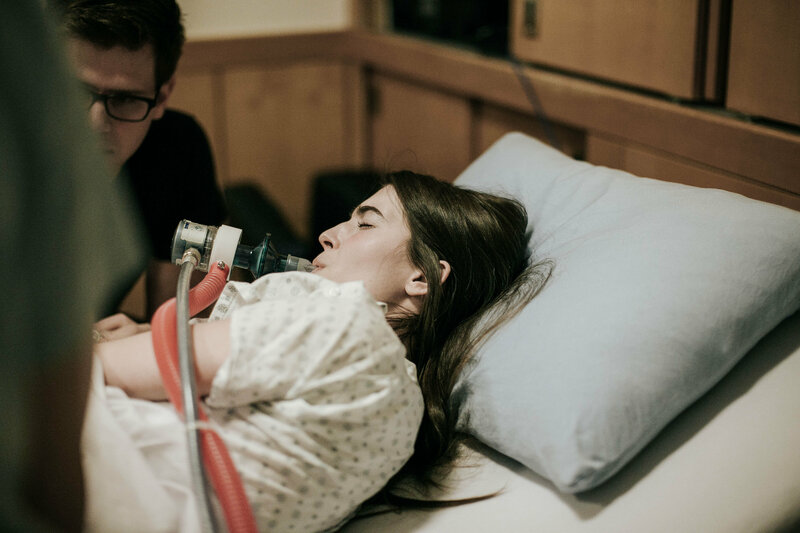 I was brought right back to those minutes before the ultrasound machine that pronounced Reid dead was rolled in, back when they were searching for his heartbeat with the very same monitors strapped to my round belly. It’d been so long since I felt this connected to our firstborn son and the pain in losing him, and as grateful as I was for that closeness I also had to manage the grief that resurfaced with it. We soon found baby’s heartbeat and I was able to pull myself together again and start to prepare for our move upstairs. But there was no time to process the fact that we were so close to meeting this second child of ours. I knew that there would be no discussing the possibility of an epidural. It was exactly what I needed during the birth of our first son so I just assumed it would be exactly what I needed with our second. But it wasn’t about me this time – this time there was a living baby to worry about, and he wasn’t going to wait. When I realized this something changed in the way that I was handling my labour, and the fierceness that arose astounded me. The pain was no longer my enemy but my ally, and it was preparing both my body and my mind to bring life into this world. I don’t think I’ve ever felt more proud of myself or so capable of anything. 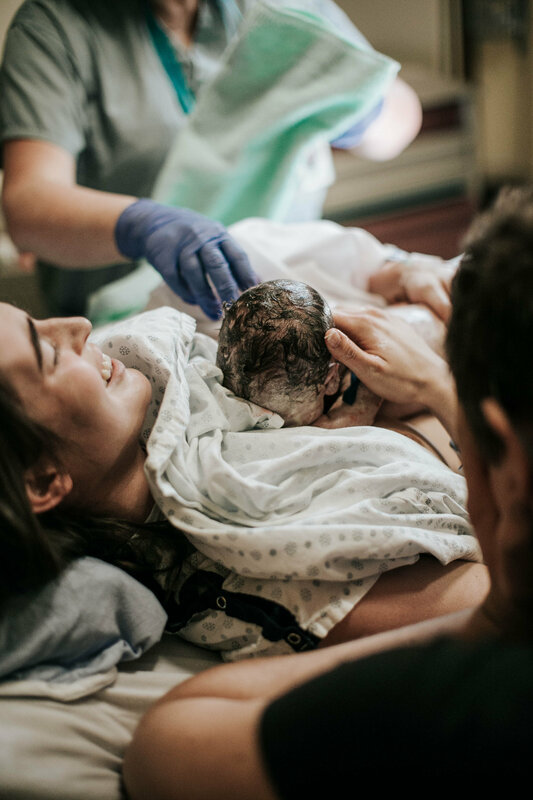 I truly believe that birth is beautiful in all of its forms – that however a mother decides or needs to bring her child earth-side is sacred, because ultimately what really matters is that she feels empowered, is healthy, and that her baby arrives safely. 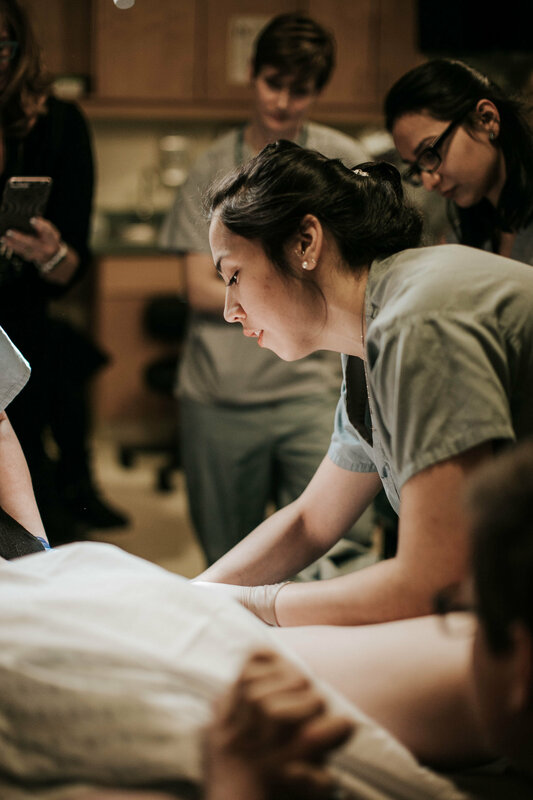 And eliminating an epidural as an option was exactly what I didn’t know I needed for this birth. At 6:00 p.m. I was guided into a wheelchair to make our trip up to the birthing suites in the Cedar ward upstairs. Off we went, flying through the same halls and over the same bumps I did with Reid, with a nurse pushing my chair and Aaron running close behind as he pulled my gas canister with one hand and balanced all of my things in the other. As we reached the elevator that would take us upstairs we ran into my mom and dad. I felt like we were living out a scene in a movie where we were rushing through the halls and more and more people started to join in our parade as we went along. Only, I didn’t feel the urge to push yet. Apparently my waters were preventing baby from moving down low enough, so it was then suggested that we break them. 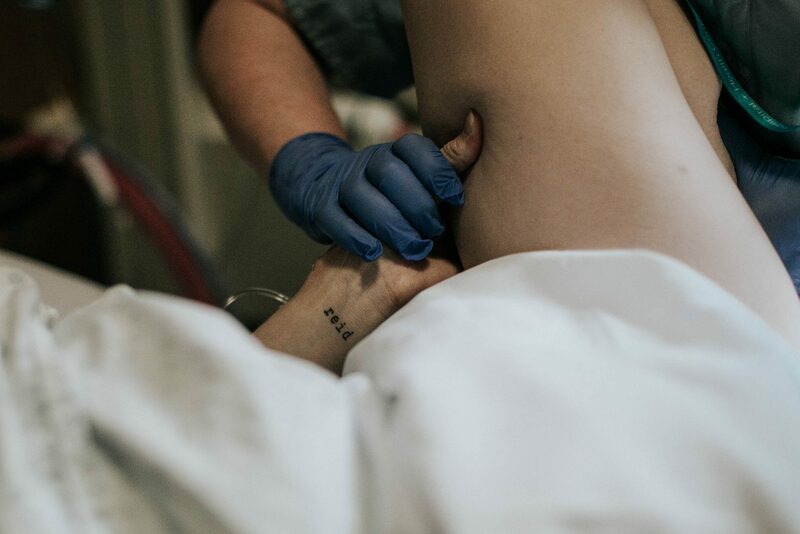 At 6:20 p.m., seconds before my OB performed the procedure, Julie made it to our room with her camera already in hand and immediately started to capture our birth. I remember opening my eyes and looking around the room. There were easily 10-15 people in there between the nurses, OBs, pediatrician, Julie, my mom and dad, and my sisters. It definitely wasn’t my plan to have my whole family in there with us – nor did I think I’d be comfortable having so many strangers seeing me at my most exposed – but in that moment I knew that it was perfect. 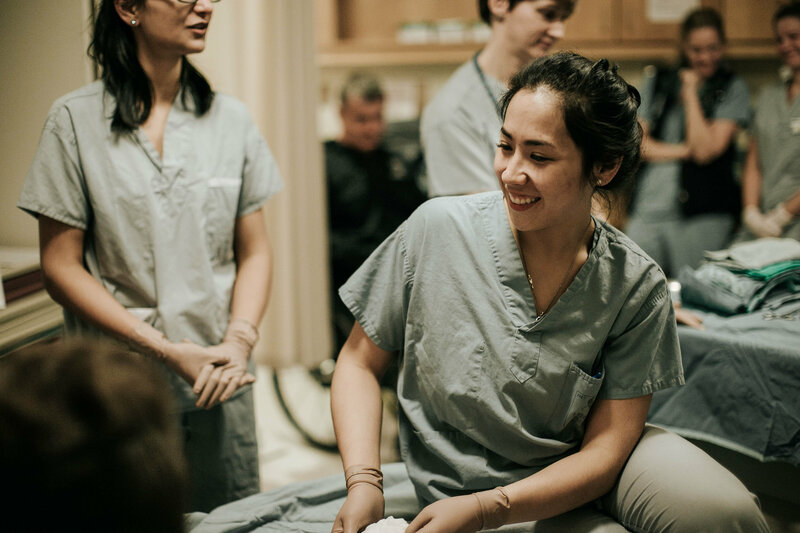 Throughout our whole stay, there was this incredible sense of connectedness to the medical staff of BC Women’s Hospital. At every turn someone would come up saying that they knew our story, read my blog, were there for Reid’s birth, or were working in this hospital the day I was born 26 years earlier. 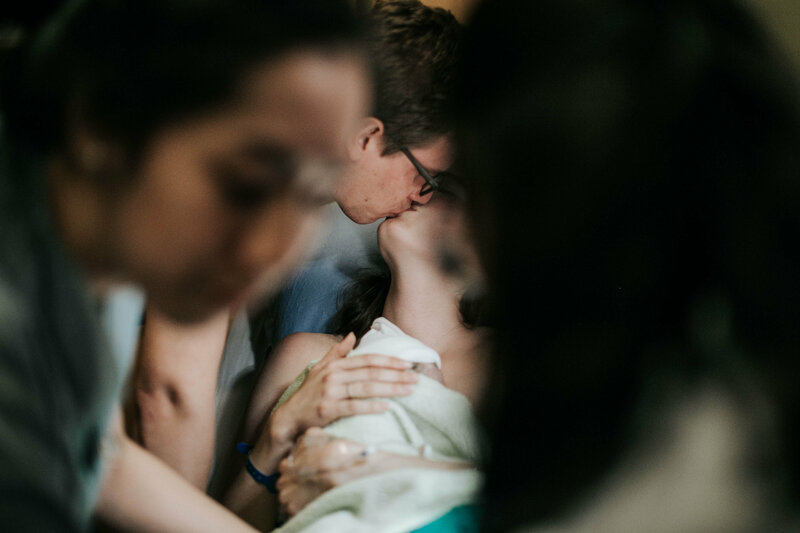 I felt that we were all on the edge of this precipice together, waiting to witness the birth of this child that meant so much to each and every one of us. I sensed that they all needed to be in that room. I needed them too. They broke my waters with one swift tug and I felt the rush of warm liquid pool beneath me. 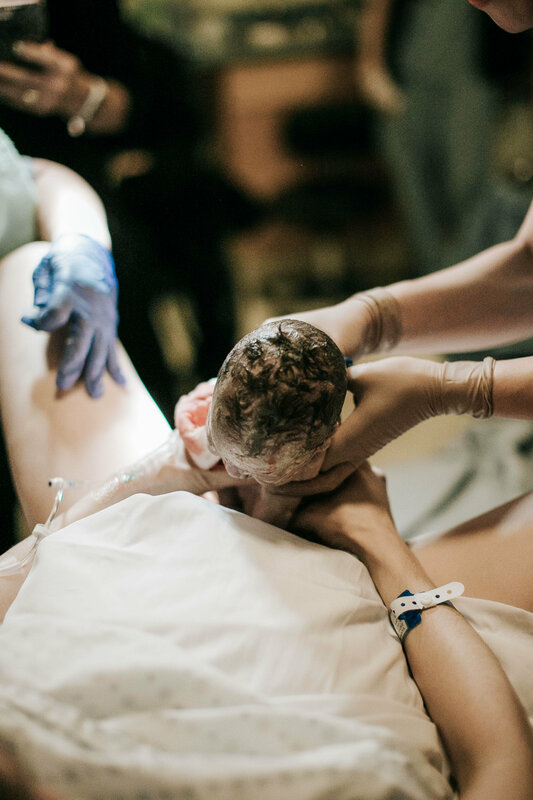 It was immediate that I finally felt the urge to bear down, something that felt so intense and new to me this time around without an epidural. Baby’s heart rate was still dropping with each contraction, and we were starting to lose it more frequently too. I felt distracted. I was trying to keep track of sound of our child’s beating heart but my ears were ringing loudly from the pain. So Aaron started talking. “His heart rate is ok,” he whispered into my ear. “It’s back up now, don’t worry. He’s doing great. You’ve got this.” I remember squeezing my eyes shut and sending every ounce of strength I had to my baby. You’re so strong. You can do this. I said to him over and over in my mind. 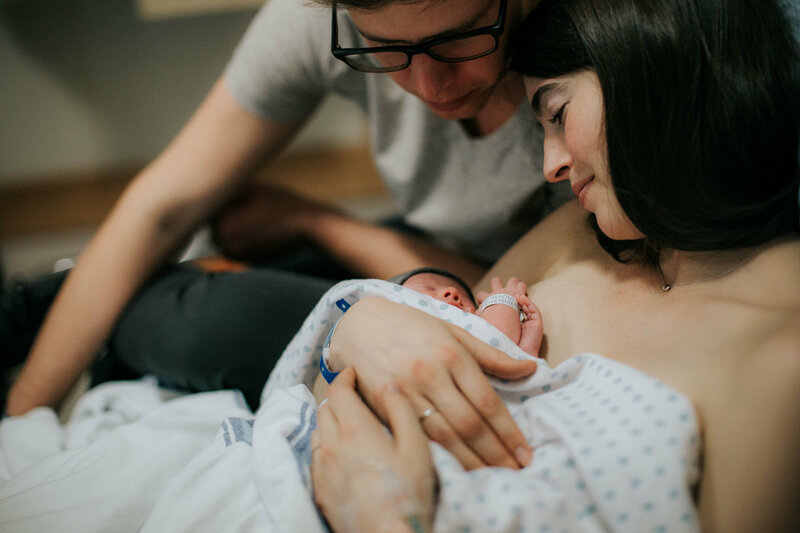 Looking back now, I know so much of the power I felt coursing through my body and into our son was an extension of what Aaron was sending into me. I couldn’t have done any of it without him. The moment I started to push was the moment I woke up. And truthfully, I think it’s the moment I felt my healing begin. The grief, the numbness, the trauma that I met with Reid, I felt them burn with the fire that grew within me. Feeling everything allowed me to feel everything. It’s almost as if I needed to experience the physical pain that I had escaped to really embrace the emotional. This time, two beating hearts. Last time, only one. 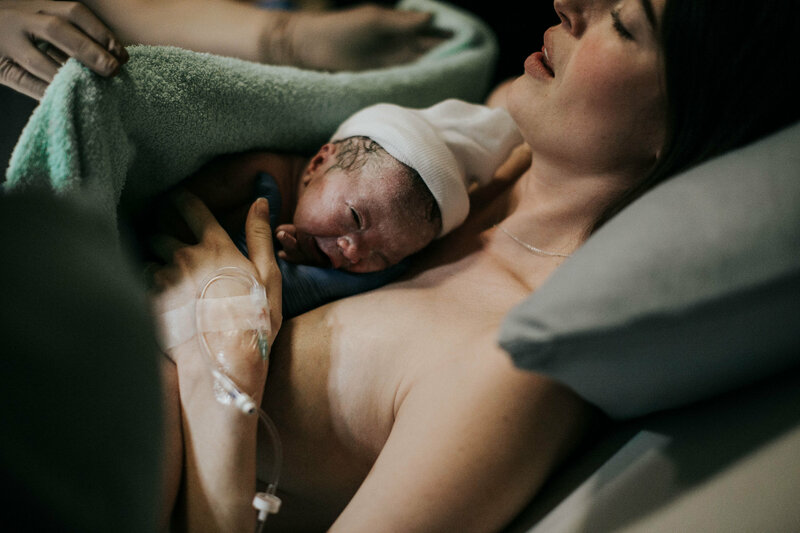 And just as it was under the silence of the first that I birthed my way into a new world of motherhood, it was under the roar of the second that I became a new kind of mother once again. “We can see his head now,” my OB said calmly. “You’re almost there.” For some reason all I could think to do was ask what colour his hair was. Looking back now, it seems such an odd thing to have been preoccupied with. I heard chuckles throughout the room. “It’s dark. Very dark.” The nurse asked if I wanted to feel. I nodded yes as I moved a trembling hand downwards. A soft scull and hair made slippery by the fluids of his home. I was acutely aware of the fact that I was touching this precious life for the very first time. I felt the next rush building, the strongest yet, and I knew that we were about to meet him face to face. At 6:44 p.m. on December 16th, 2016 our beautiful son, Everett Henry VandenBrink, was born screaming. 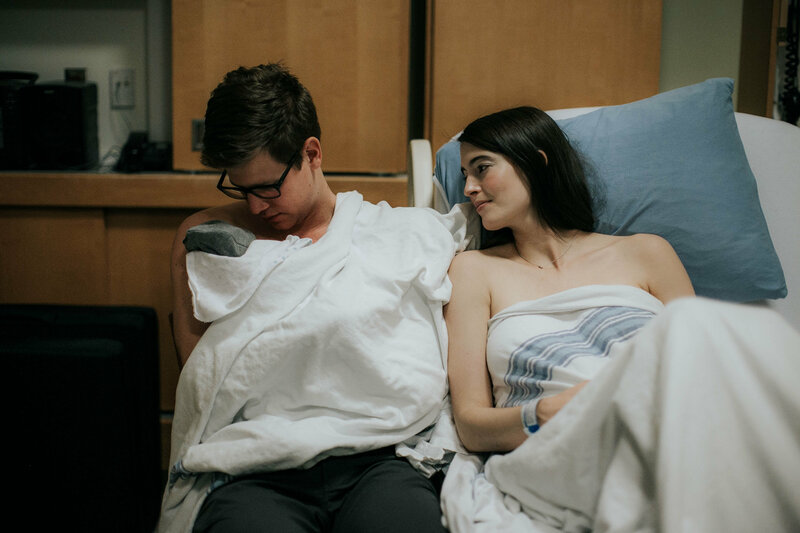 After exactly 24 minutes of pushing – the same amount of time it took to bring his big brother into the world – he came out sunny-side up with the cord wrapped around his neck, which my OB quickly cleared. As his shoulders were starting to emerge the nurse told me to reach down and grab my baby. 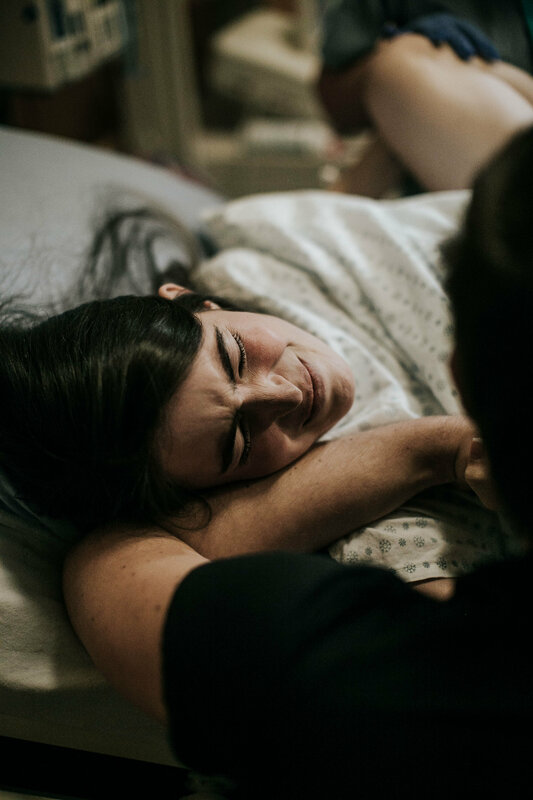 Hearing her say those words, looking down to see my son, and wrapping my fingers around his body for the first time brought me right back to those same moments with Reid. I had been there before. 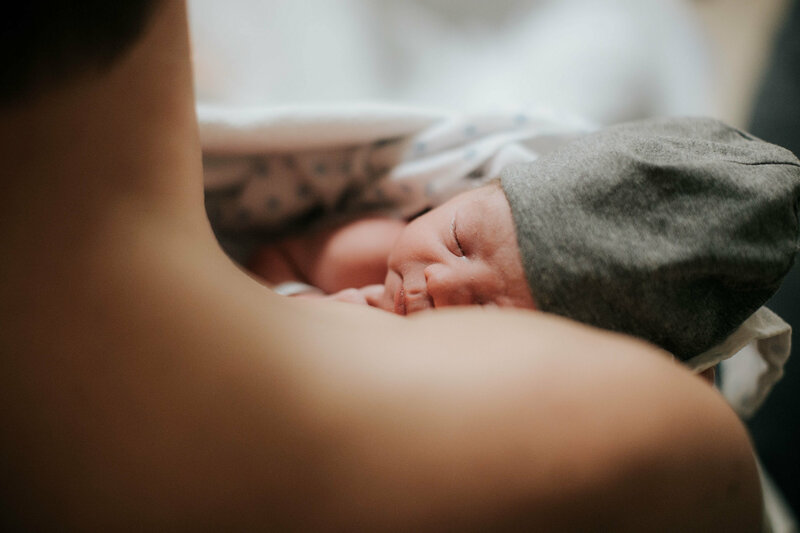 But when I pulled him up on my chest and felt the ripple of his cries travel through my body a whole new world of emotions poured into me, and I was transformed. Nothing had ever felt so right as when I first felt my child’s ribs expand against mine. And as I gazed into his deep, knowing eyes I felt the love that my mother felt for me, and that millions of mothers before her must have felt too. Different than the love I felt looking at Reid, both powerful in their own ways. Everything that followed Everett’s birth was a beautiful dream. He was measured and weighed – 21 inches and 6lbs 12oz – and checked over by the pediatrician. “He’s perfect!” he proclaimed. The spitting image of his big brother from straight on and his own person entirely in profile. Aaron’s nose and full lips and my dimpled chin and almond shaped eyes. Holding Everett just a couple of rooms down from where we last held his older brother was the most profound experience. To have met both of our sons in the same place – a place where we have now felt the power of both life and death so intimately – was such a blessing. In those early hours with Everett on my chest I was consumed by this overwhelming feeling that Reid played a role in his safe arrival. That somehow, he helped to prepare my body and his sibling to birth a little bit early for a reason. 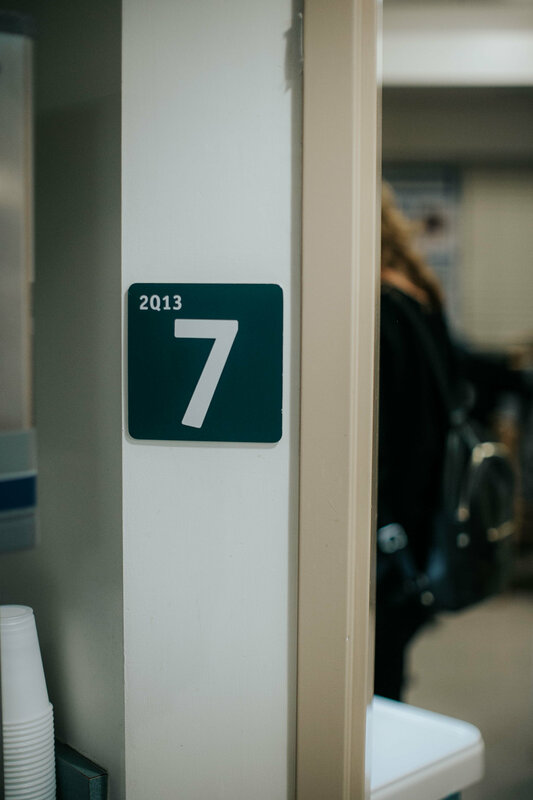 I have never felt God’s presence more fully than I have within the walls of BC Women’s Hospital. He held the pieces of our broken hearts together as we left on April 4th 2015 with empty arms and wept silent tears of joy alongside us when we left with Everett tucked safely in his car seat on December 18th 2016. Though we didn’t always feel like it was true, we know His plans for our children surpass anything we could have prayed for. It felt like the perfect happy ending to our story. But I should have known better, because it’s often those times that feel like endings that are really just beginnings. And what a beginning this was. We want to thank everyone who has graciously offered their words, prayers, and love to our family over these past two and a half years spent growing our family. No thanks will ever be enough, of course, but know that we are forever grateful for your selflessness. There is no doubt in our minds that God has placed each and every one of you in our lives for a reason. You have all been instrumental in supporting us through our grief and seeing us through to our joy. We love you! *All photos in this story are by the amazing Julie Christine Photography.